We are a church going family and strive to attend our church meetings each week. This is easier said than done with four special needs kiddos. In fact, if I'm completely honest, Sunday is THE HARDEST day of the week, with Monday coming in as a close second, because of the aftermath of Sunday's events and changes in schedules. Our three older children have definitely had their ups and downs when it comes to attending church. Dinomite and Bulldozer have struggled for years trying to make it through Sacrament Meeting (our main Sunday service) due to sensory issues. They took three years to transition to primary (Sunday school for children). Just this year Bulldozer has finally started to participate with the other kiddos. Princess loves to attend church and primary, but she's a bit of a handful. More often than not, I receive at least one comment from teachers and/or leaders about particular behaviors each week. Still, she's come a LONG way, and is really doing well. I can not applaud her enough for her desire to make good choices at church. I thought I would be a pro at the Sunday thing when Sunshine came along, but as always, she's proven to be THE MOST challenging of all. Due to past trauma and neglect, Sunshine tends to react very strongly to situations where she feels confined or restrained in any way. Being required to sit in a pew for an hour definitely falls under that category. She also has some significant sensory issues. Combine those with anxiety when around people she doesn't know, and the situation is not pretty. Sunshine's go to trigger response is fight. Let me be the first to say, this can be very scary and really hurt. Sigh. Matters become worse when Sunshine's fight response turns towards other adults and children. We've stopped attending Primary, as it's too much for her for right now. All of our efforts and energies are geared towards helping our little girl make it through sacrament meeting. In the past we've tried snacks, books, toys, etc., but nothing has worked. I have been in tears several times as Sunshine has had to be removed from our church building and taken to the van, where she's placed in her car seat, to ensure her safety, and to ensure the safety of those around her. My husband sits in the car with her, waiting for her to calm down and feel safe. A few weeks ago, I couldn't handle another Sunday of the same viscous cycle. I pleaded in prayer for ideas to help Sunshine, so that we could all make it through sacrament meeting. Thankfully inspiration came. Sunshine doesn't play or attend to any task for any length of time, except when she's doing learning time activities. 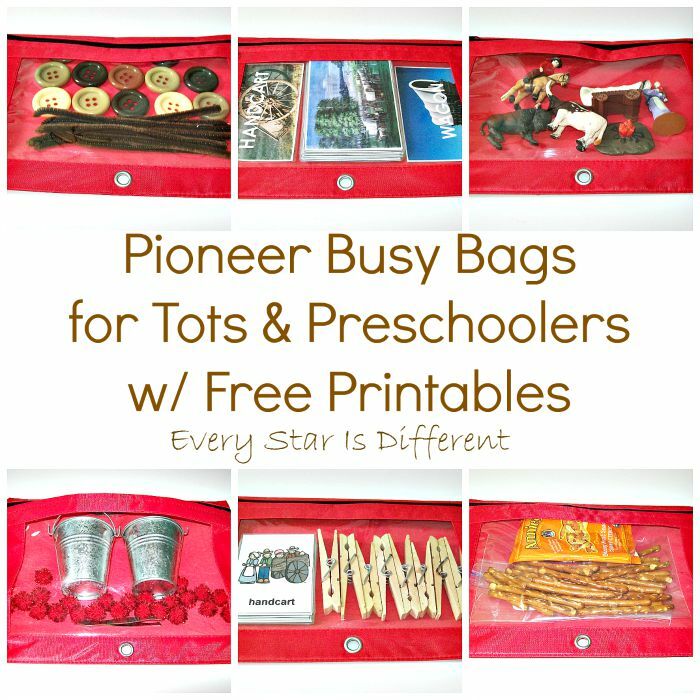 What if I made Montessori-inspired busy bags for her to use during sacrament meeting? 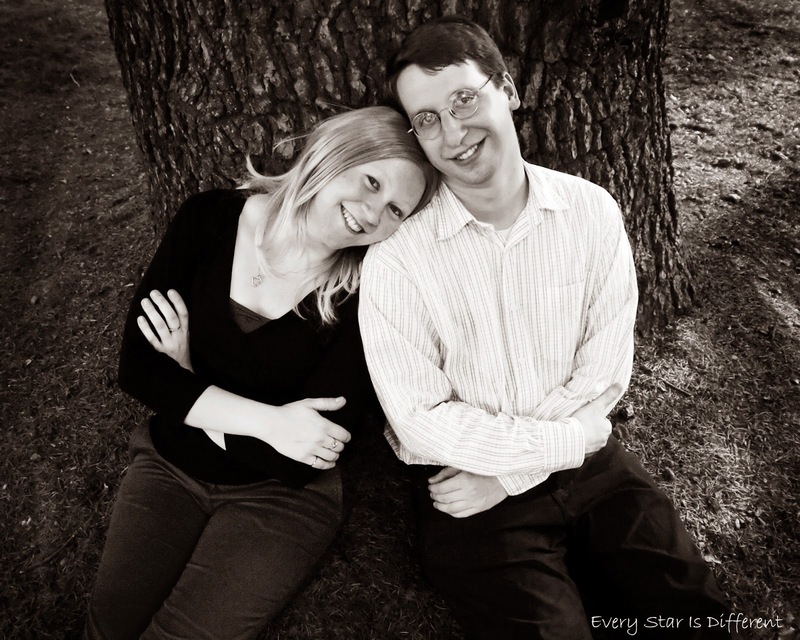 My husband and I discussed the idea and decided we didn't have anything to lose, as things couldn't get much worse than they already were. So, over the past two week's I've worked to put together six busy bags for Sunshine that are appropriate for use in church. Last week we tried out three. The difference in her was incredible. We just hadn't put enough bags together, so she ended up in the hall with my husband for the last 10 minutes of the meeting. Still, this was night and day compared to weeks past. 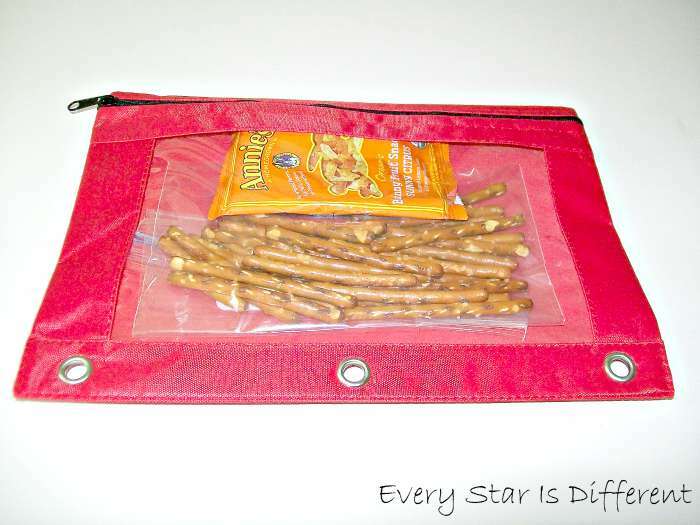 For as long as the busy bags continue to work, we'll be switching them out about every 4-6 weeks. All activities will be quiet activities, based on church history, religious principles, and/or Christ centered holidays and events. All printables I create will be available for free. I hope you enjoy! This busy bag contains 2 sets of 12 laminated pioneer themed cards. Sunshine uses the clothespins to fasten matches together. 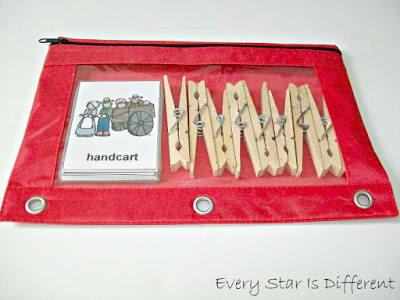 The clothespins really make this simple matching activity extraordinary. 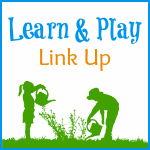 It provides opportunities for hands on learning, fine motor development, and sensory input. The best part is that Sunshine is learning about pioneers at the same time. Sunshine LOVES this activity. I presented the activity at home. We did it together, and then she did it by herself before we brought it to church. She was so excited about her new busy bag! 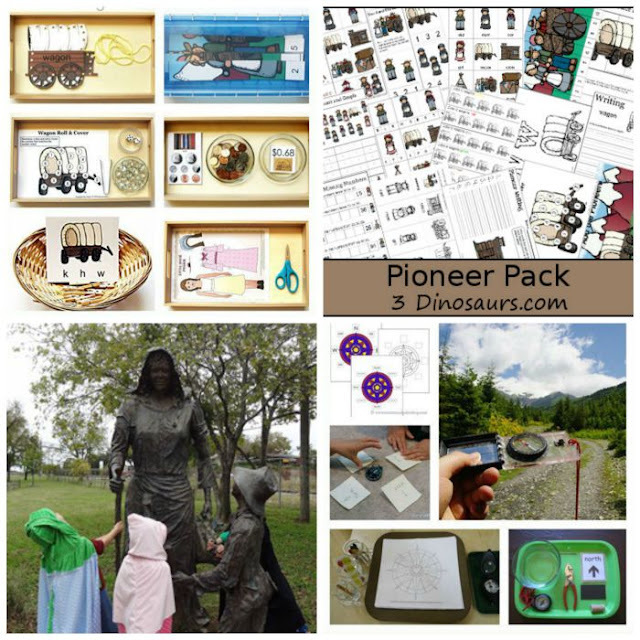 Source: The free printable for this activity is part of the Pioneer Pack from 3 Dinosaurs. When I think about pioneers one of the first things to come to mind is all of the sewing the women did. Sunshine is a bit young to learn to sew. I don't want to think about the safety issues that would result from bringing a sewing needle to church. We've tried lacing cards in the past, but Sunshine thinks they're kites and starts waving them in the air. Once again, I didn't think this was appropriate for church. Instead I went for a more basic introduction to the concept of sewing. In this activity Sunshine strings the buttons on a pipe cleaner. I've provided multiple pipe cleaners to provide variation to the activity and in case she decides to thread the pipe cleaner through more than one hole on the buttons. Sunshine does better with a very structured learning activity that has an end and a beginning. Pretend play is definitely not her forte. However, I still want to make sure I provide opportunities for her to do so. 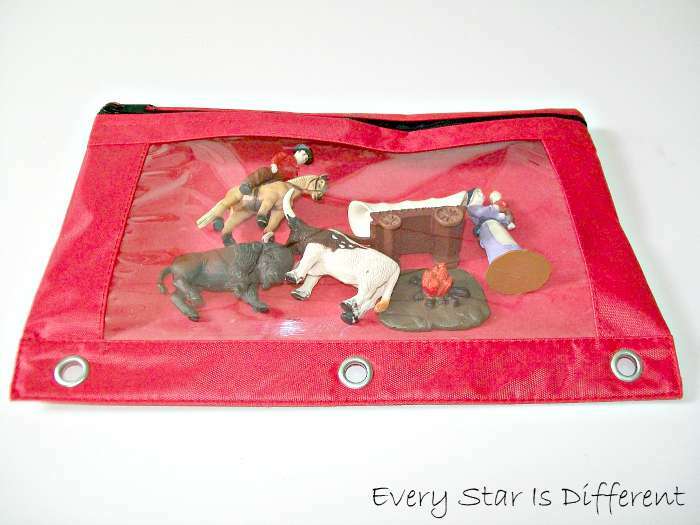 The Safari Ltd Wild West TOOB has the perfect quiet, hands-on figures to use when learning about pioneers. I removed the Indian characters along with figures who had guns, to provide for more reverent play. My husband and I were a little concerned Sunshine might start acting like the animals in the set, using a loud voice during our meeting, but she didn't. Instead she played quietly for a few minutes, before putting them away and moving on to the next activity. When learning about the pioneers, it's important to learn the difference between a handcart and a wagon. For this activity, Sunshine will examine several pioneer themed paintings identifying handcarts and wagons in each. She will then separate the paintings. 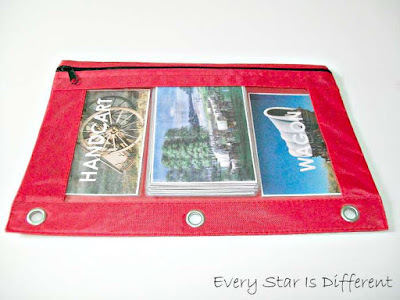 Those that have handcarts, she will place under the handcart card. Paintings of wagons, she'll place under the wagon card. The scene in each painting is beautiful. 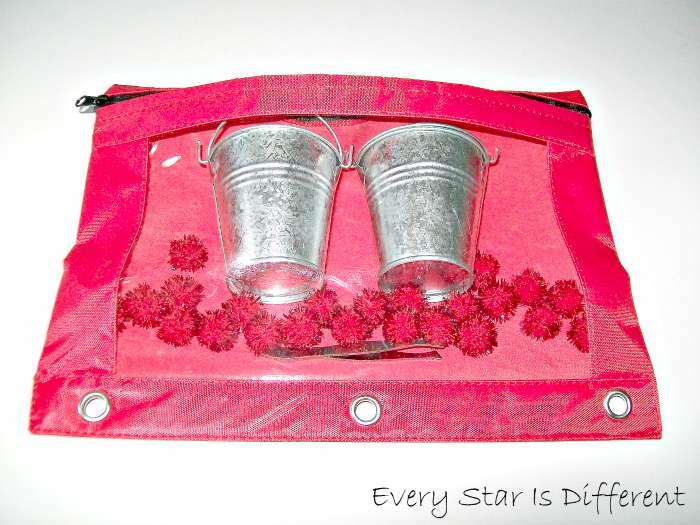 Many pioneer children had the responsibility of collecting berries while on the trail. I thought it might be fun for Sunshine to practice either using her fingers or tweezers. She won't transfer from bush to basket, but she can practice transferring between two pails. Pom poms are being used as berries to keep the activity quiet. 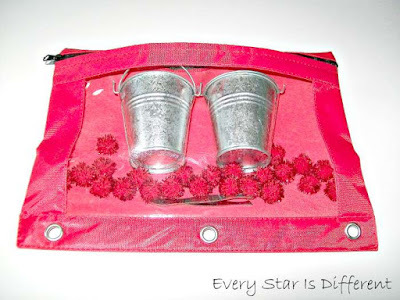 If she decides to be irreverent with the pails, we'll just move on to a different busy bag activity. Sunshine is still at an age where snack is sometimes necessary during sacrament meeting. This activity is my attempt at being creative with snacks in church. Lol. The pretzel sticks represent fire wood. The yellow and orange fruit snacks are fire. Sunshine can build her own camp fire if she wants to. Chances are she won't, but I still think the idea is pretty cute. 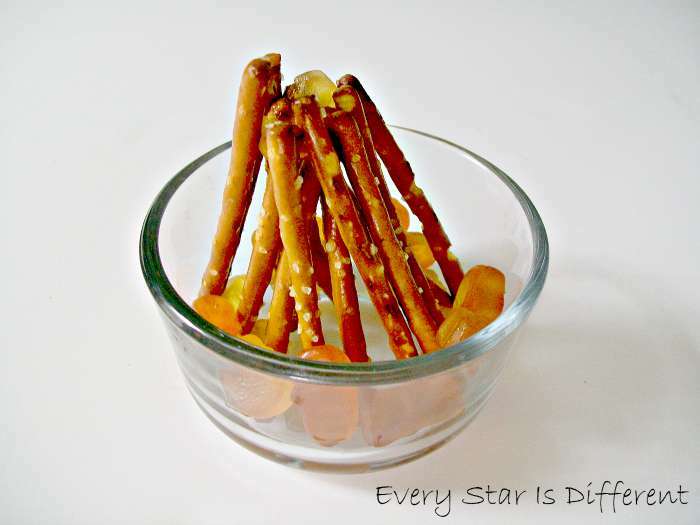 If you attempt to make this snack, be sure to press a fruit snack into the top of some of your pretzel sticks to keep them together. Fruit snacks along the bottom also help. Otherwise the pretzels just topple over. Sunshine is already excited about church on Sunday. She was quite disappointed to learn that church is still a few days away. (I was putting the last few busy bags together today and she happened to see them.) I won't lie, putting together these busy bags is work, but if they help Sunshine, the work will be worth it. So far, the busy bags are helping her more than I could have ever imagined. The best part is they can also be used for Family Home Evening and other church activities! 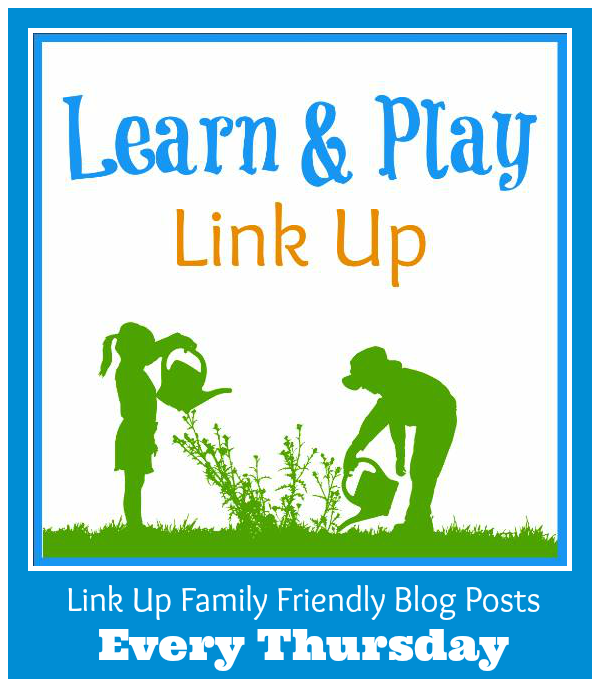 Welcome to this week's Learn & Play Link Up! I am so excited about this week's features. Pioneer history is very near and dear to my heart, especially this time of year. 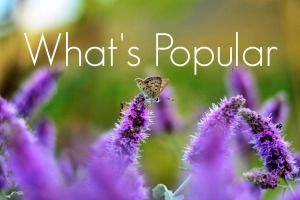 Whether you are celebrating Pioneer Day, studying the history of the United States of America, or reading the Little House on the Prairie series, the posts featured this week are full of resources and ideas! What great ideas! It sounds like Sunshine is very lucky to have you! 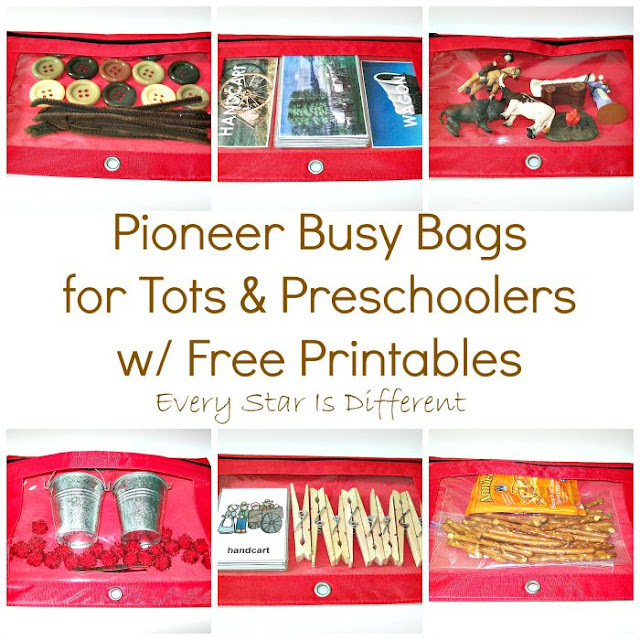 Busy bags have always been my favorite distraction for little ones. Our favorite were puzzle busy bags. (I linked them to your roundup.) I hope things continue to get better and better for you and your family at church. Hang in there! I'm so happy for you guys that you have found an option that works for you guys in church :) These activities look so fun and inviting so I can understand how Sunshine would enjoy them ;) I love the theme, too! This is awesome! My kids are going to love having a change of activities during Sacrament. Thank you so much for taking the time to share.